Pope Francis, does the new CDF document signal a shift in the discussion? 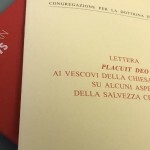 Waiting for the Pope’s document on spirituality in the modern world that should also address the issue of pelagianism, a document issued by the Congregation for the Doctrine of the Faith and addressed to bishops worldwide prepared for the discussion. In fact, the document also represents a sort of clarification of Pope Francis’ thought on neo-Gnosticism and neo-Palegianism trends – both of which Pope Francis has said many times he considers among the evils of our times. These two topics are already addressed in Evangelii Gaudium, the Apostolic exhortation that contains the guidelines of Pope Francis’ pontificate: the exhortation is a landmark to understand Pope Francis’ modus operandi. In Evangelii Gaudium, Pope Francis stressed that spiritual worldliness was fueled in two interconnected ways. These led some to believe that, while speaking about neo-Pelagianism, Pope Francis was referring to the traditionalist world and to a too-rigid defense of doctrine. Anytime Pope Francis has spoken of neo-Pelagianism – and he has done so many times in almost five years as a pontiff – the term has been used to label those who are on the other side of the agenda of mercy. This created an artificial polarization, that in fact lose sight of the actual sense of Pope Francis’ first exhortation: the joy of announcing the Gospel. The allegation of neo-Pelagianism prevented broader discussions by portraying them exclusively in terms of pro or anti-Francis, also about important topics like the Eucharist for divorced and remarried. This happened because those who defended the doctrine of the Church were always labeled. With the document Placuit Deo, this polarization is set aside, as the document clarifies Pope Francis’ thought. As can be noted, the document makes no reference to an alleged doctrinal rigidità. It rather emphasizes the emergence of a way of thinking that claims to save by itself, without recognizing the bond with God and that salvation lastly depends on God. In addition, a shift on the discussion can be observed. Beyond the doctrinal issues, it is clear that the world that has been labeled as being traditional, and many times described as critical of the Pope, has rather grounded its criticism on the opposite basis. That is: that the discernment the Pope called for, and the need to be merciful in order to open always more hearts to the Word of God, could never be separated from the teaching of God and from the need to trust God in order to follow the Church’s teaching, although with some difficulties. The document seemingly turns the world upside down. Those who mostly speak of personal conscience and discernment sometimes are detached from the idea of a needed confession and conversion, and aim at a self, man-made salvation. Perhaps, a neo-Pelagian trend can be more readily found in those who are considered the elastic promoters of mercy rather than in the rigid defenders of doctrine. This way, the Pope’s words are clarified, as they are often read as direct allegations against some particular trend. It is fair to say that the Pope has always in mind particular situations when speaking. But it is also fair to say that the Pope always speaks in general terms. The document shows the personality of a Pope that aims to go toward frontiers and peripheries, and wants to open up the world to the Gospel message. But this Pope is also profoundly grounded on tradition, and knows that outside of the Church there is no salvation. This is the reason why Placuit Deo represents an invitation to broaden the discussion on the pontificate and faith. Rather than focusing on casuistry, it is important to look at the general picture of a de-Christianized world. Pope Francis’ formula is that of the Jesuit apostolate: to go there where the discussion is difficult, rather than consolidating that which is generally accepted already. These are the lenses through which to read some aspects of the pontificate. For example, the Pope’s decision to go to Lund to commemorate the Reformation, with a schedule that initially did not foresee a meeting with the Catholic community. Or the June 21 meeting in Geneva with the World Council of Churches. Or the ecumenical commitment to tear down barriers beyond any theological issue. All of this cannot be read in opposition to what was done in the past. Pope Francis simply has a different style. 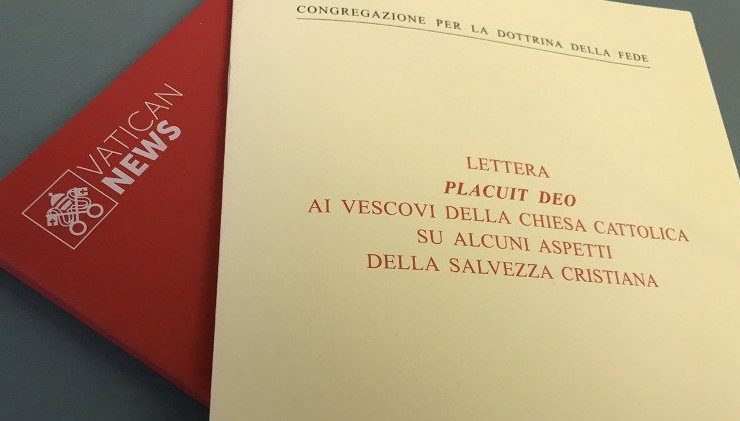 This is the reason why Placuit Deo can be considered in any case a milestone: it clarifies Pope Francis’ position and requires us to look beyond. Will it be enough to overcome the pro and anti Francis polarization?